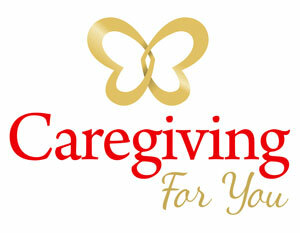 We started Caregiving For You to make caregiving better. As part of that mission, we deliver high-quality caregiving services that our clients will be proud to use and make it easy for them as well. Caregiving For You is an award-winning family run company based in Los Angeles, California that understands what it means to be concerned about a loved one who needs help. For over three decades our company has been dedicated to ensuring your family members are taken care of in the same way we would care of those in our own family. Caregiving For You is dedicated to giving the best care possible to your loved one, and does so with a passion for caregiving that stems from years of experience. We offer a free assessment, companion care, personal care, respite care, post-op care, medication management, assisted home care, end of life care, disability care for all alges, rehabilitation care, dementia care, transportation, and more, all provided by Caregiving For You's compassionate in-home care professionals. Not only that, in 2017, Caregiving For You was awarded the designation of being one of the Best Home Caregivers in Los Angeles by Expertise, demonstrating our stellar reputation in the field of caregiving. Caregiving For You is a proven leader in the field of caregiving and will continue to strive to be the best we can be so you and your loved ones can depend on us for all of your home care needs, whatever they may be. Thank you for considering Caregiving For You. 2017 Best Home Caregivers in Los Angeles by Expertise, demonstrating our stellar reputation in the field of caregiving.